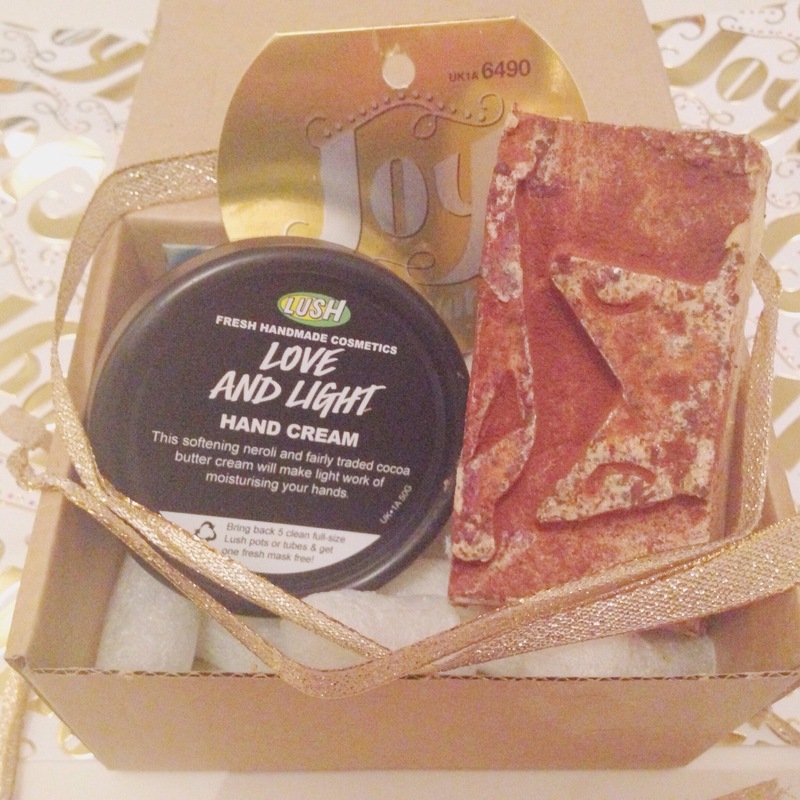 ‘Joy to the World’ Lush review – Carry on Beautiful! I recently bought this box while in Liverpool to be a christmas present but ultimitely have ended up opening and keeping it for myself just because of how amazing it smelt-even through the box! It smells, to me, like christmas. For good reason too! This is obviously why its called ‘joy to the world’ like the song. Inside this box is the yog nog soap. It smells incredible and you can still smell it hours after you’ve showered with it. There is mousturising soya yohurt, cocoa butter, ylang ylang, clove bud and nutmeg and i could swear theres connamon there too though the lush website tells me i’m wrong! As you can imagine, it smells incredible and it lathers up really well. So far, i’ve only used it twice but i definitely think it’s made my skin softer and my boyfriend loves it too! The other product in this box is equally amazing and its the ‘love and light’ hand cream. It is made up predominately of nerouli and cocoa butter meaning its super mousturising but, as the name suggests, still light on your hands. It has brazilian orange, orange blossom and nerouli to give it a gorgeous, christmas morning felling scent that i can’t get enough of. This is definitely my favourite multi product box i’ve ever bought from lush and i think it would be an amazing christmas present for anyone that likes lush but not bathbombs. Let me know what your favourite lush product is below, i’m always looking for new things to try!